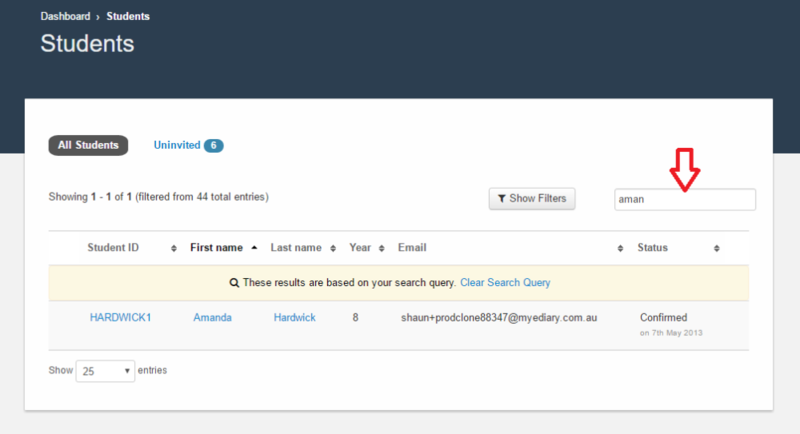 Then use the search field to easily locate the student you wish to view, then click on the student to open up their detail page. 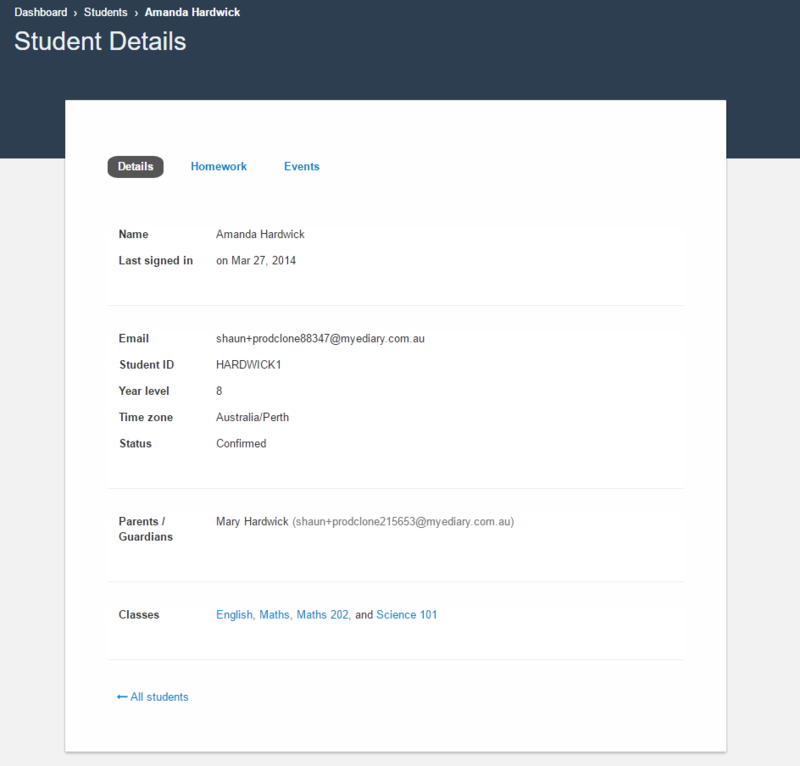 This tab shows general information about the student such as when they last signed in, any parents/guardians they are associated with, and the classes they are enrolled in. 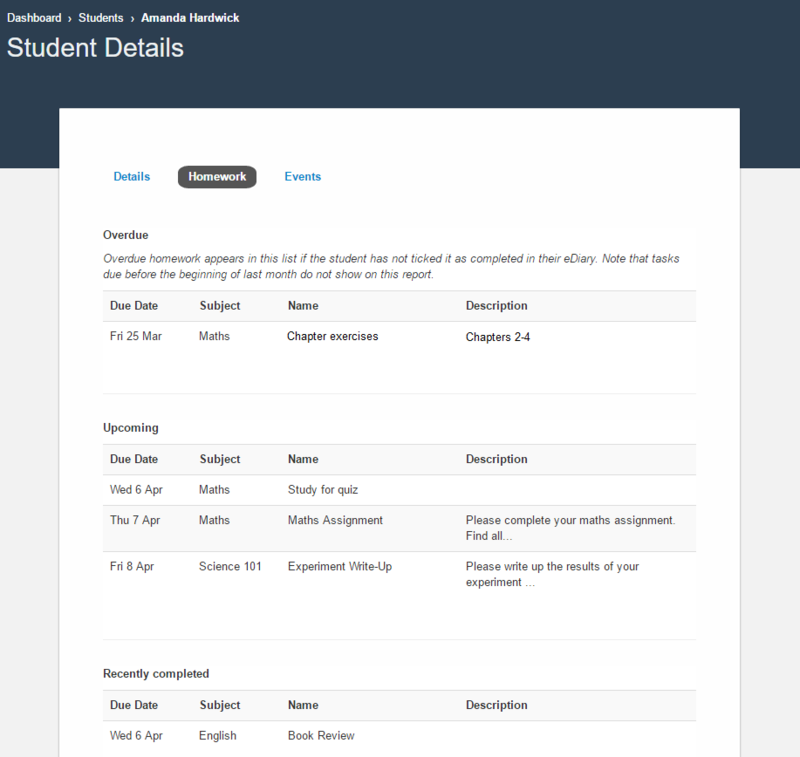 This shows any homework or assessment tasks the student currently has overdue, upcoming, pending sign-off, or recently completed. 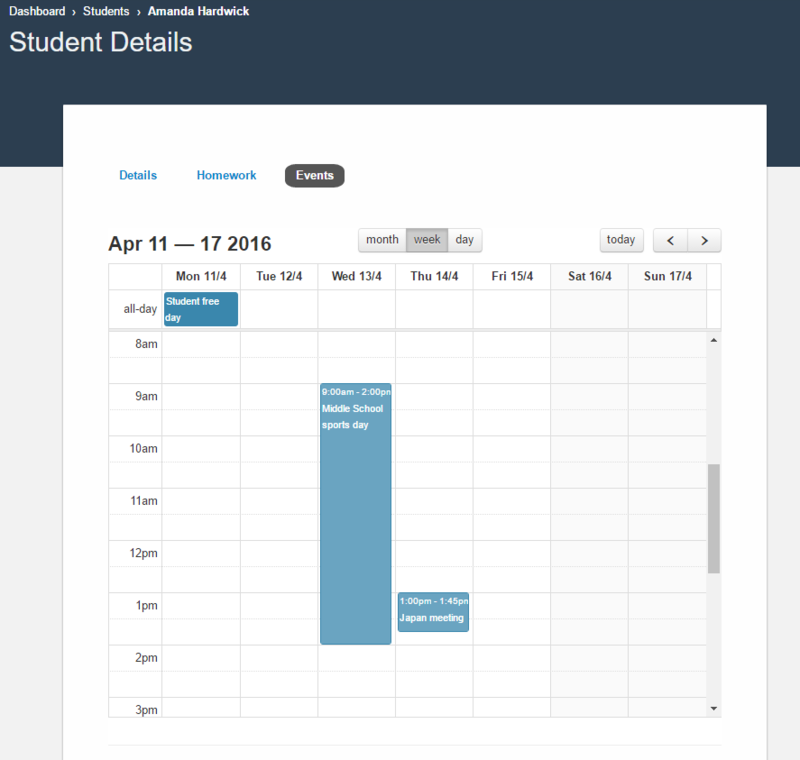 This shows any school events that the student has been added to.